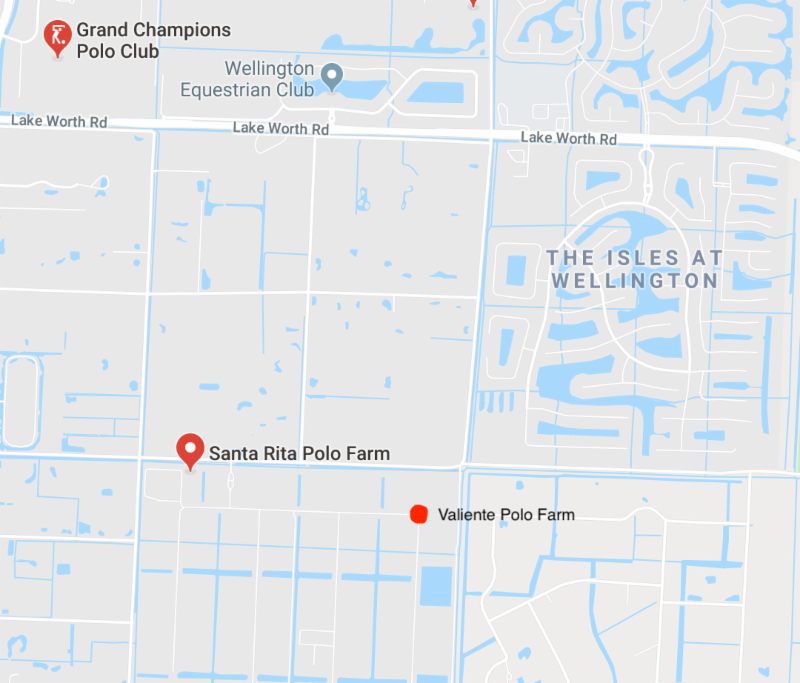 WELLINGTON, Fl., April 7, 2019----Colorado had a close call against upset-minded Alegria in its final bracket game of the Triple Crown of Polo Saturday at Valiente Polo Farm. 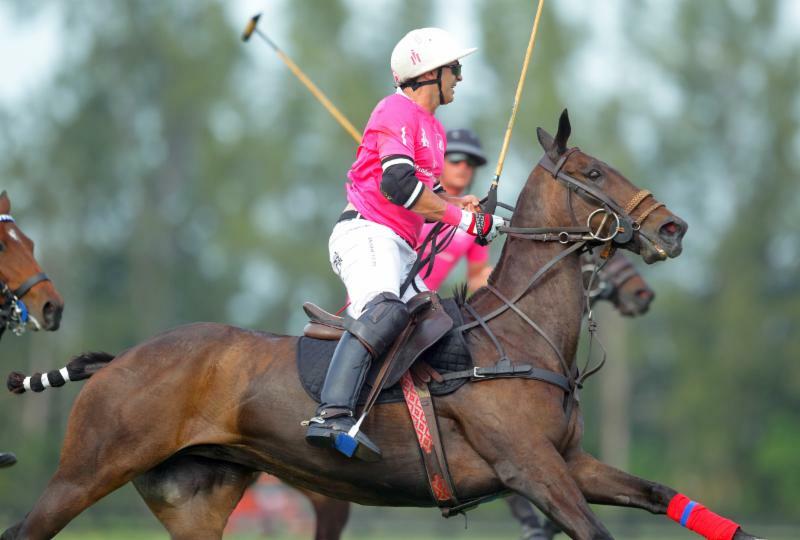 Headed into the final chukker tied at 6-6, Colorado (Rob Jornayvaz, 2, Juan Martin Zubia, 7, Adolfo Cambiaso, 10, Jero del Carril, 7) reeled off four unanswered goals by Zubia and Del Carril to defeat Alegria (Freddie Mannix, 8, Juan Martin Obregon, 5, Gringo Colombres, 7, Jesse Bray, 6), 10-6, to become the first team to advance into Thursday's semifinals with a 3-0 record. 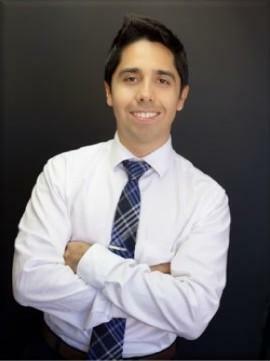 Juan Martin Obregon of Alegria hooks Juan Martin Zubia of Colorado. 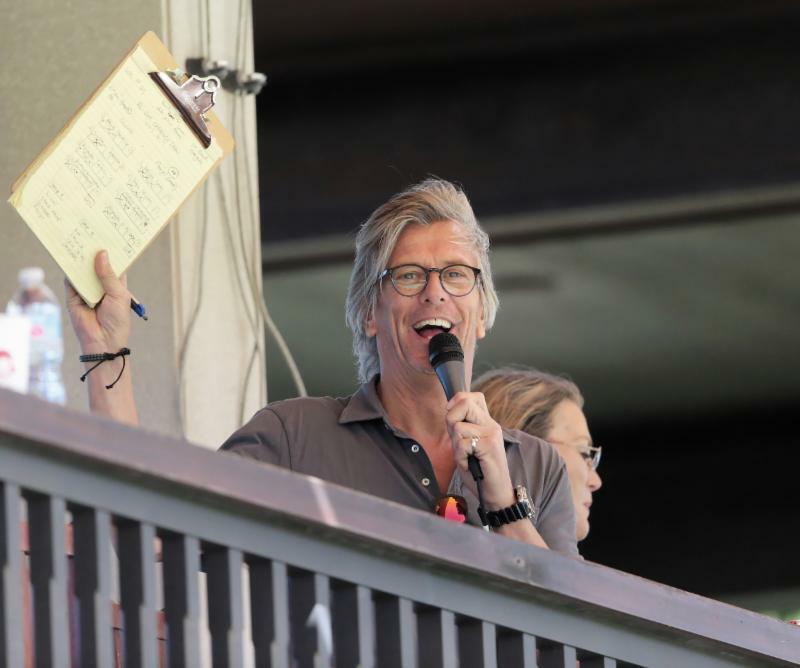 "We just ran out of one last bullet in the last chukker," Mannix said. "I felt we were close. I thought we could have done it if we could just catch a good break at the right time. We didn't quite have enough bullets left. What a shame, we were so close." Colorado's Jero del Carril tries to work the ball with Gringo Colombres on his hip. 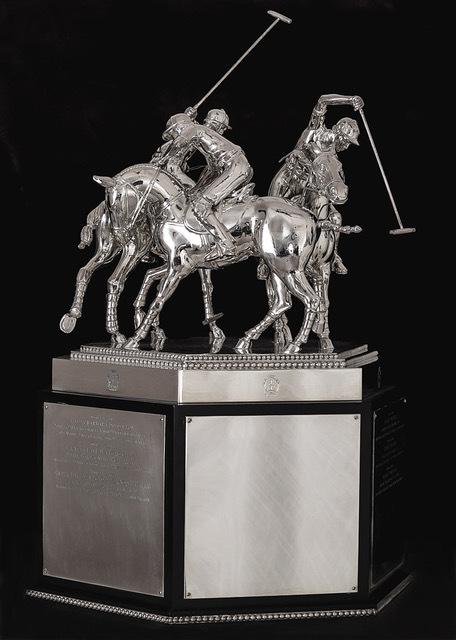 On Sunday, the third round of the Triple Crown of Polo will decide Wednesday's subsidiary teams and Thursday's semifinal teams, with three highly-anticipated games on tap. 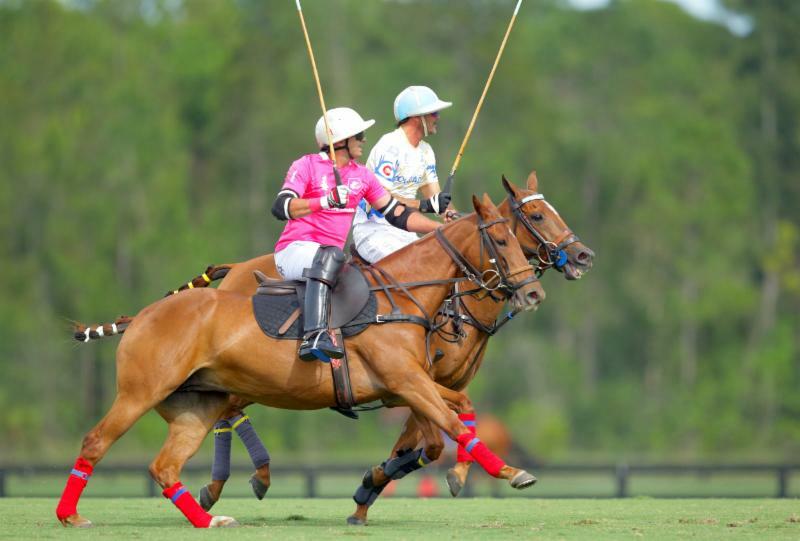 Gringo Colombres of Alegria drives downfield with Juan Martin Zubia of Colorado defending. 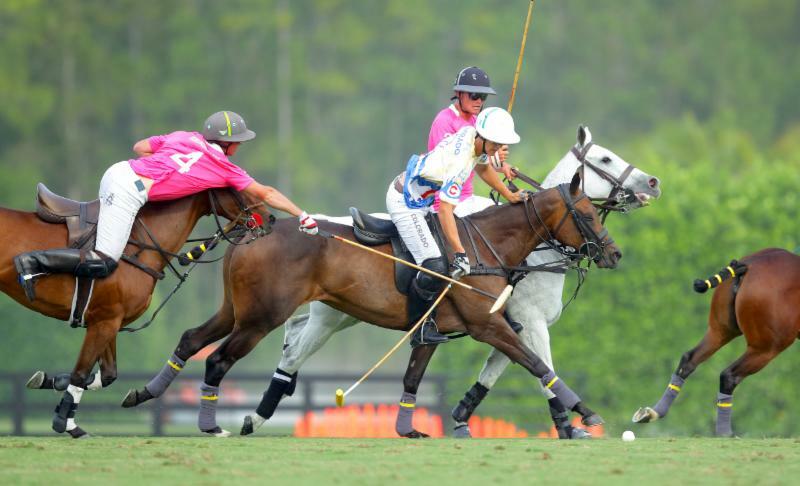 Audi plays WPL in the feature game at 4 p.m. at Grand Champions Polo Club's Field 2. 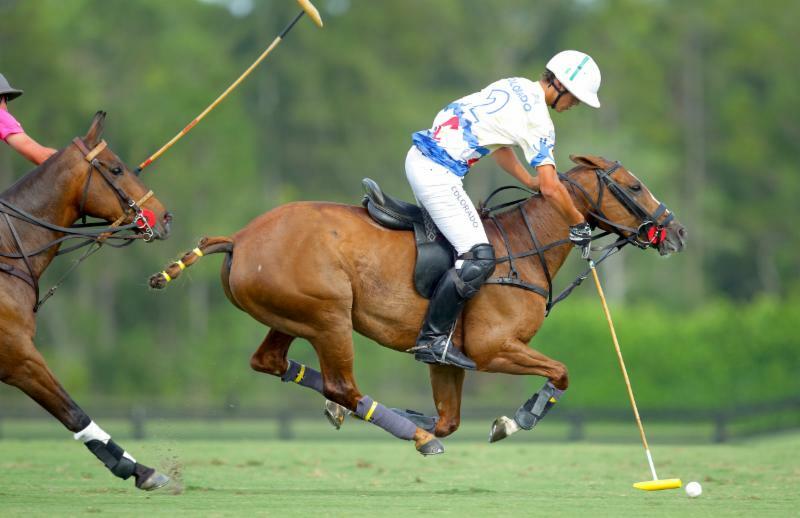 In the two early games, Grand Champions plays Mandarina at 10 a.m. at Jan Pamela Field 3 and Valiente plays Black Watch at Valiente Polo Farm Field 2 at 1 p.m. In a fast, wide open game, Colorado jumped out to a 4-1 lead in the low scoring first half. Alegria rallied late in the fourth chukker tying the game at 6-6 on Obregon's penalty three conversion. 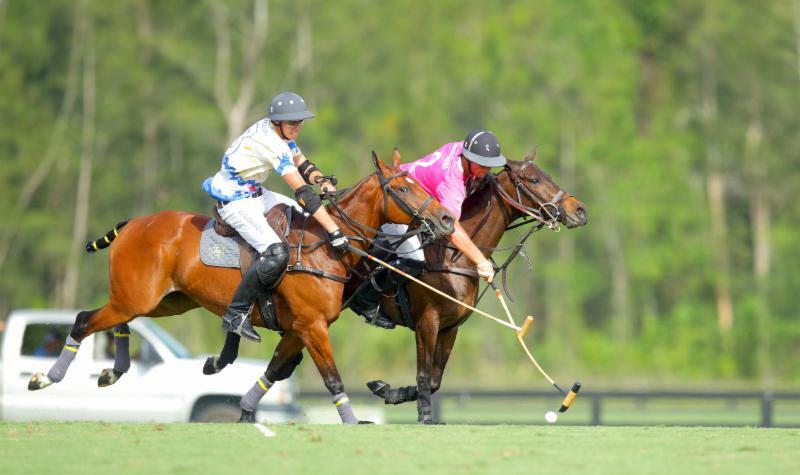 Freddie Mannix of Alegria and Adolfo Cambiaso of Colorado watch a play develop. 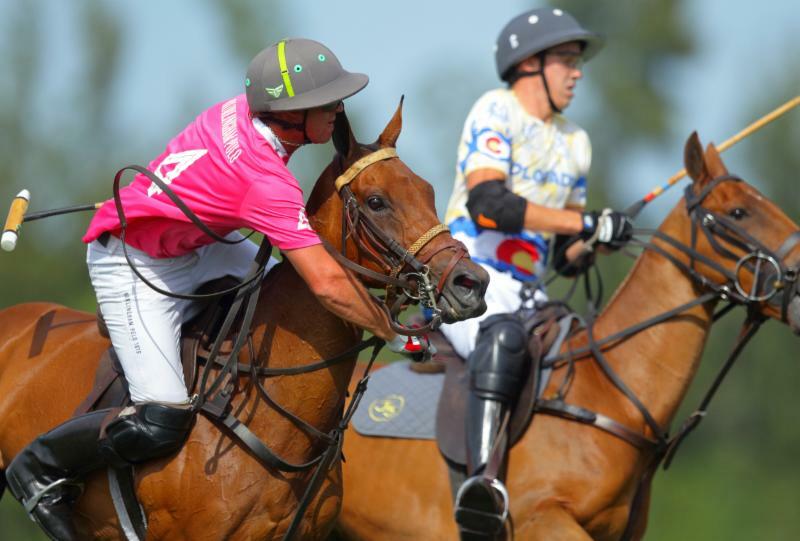 Alegria had its share of scoring opportunities in the final chukker but fell short while Cambiaso took command of the game with his leadership and long passes to Zubia and Del Carril. 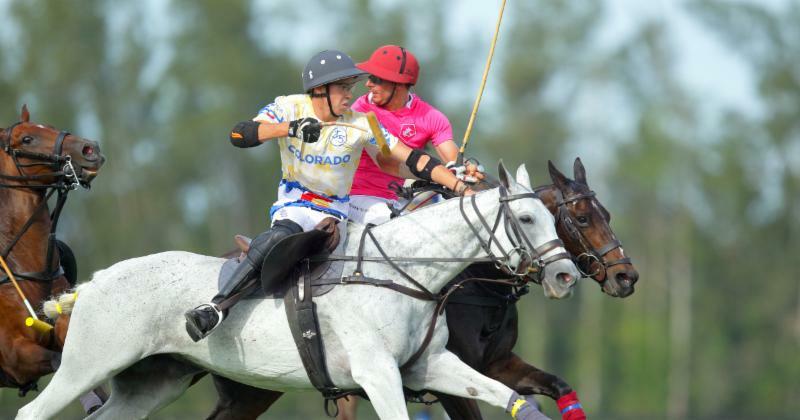 "We played bad today," Cambiaso said. "We won but we didn't play the way we like. We were a bit too long. We need to get more compact. I think we did it when we were scared in the last chukker. I think we played well in the last chukker only. Gringo Colombres of Alegria stride-for-stride with Jero del Carril of Colorado. 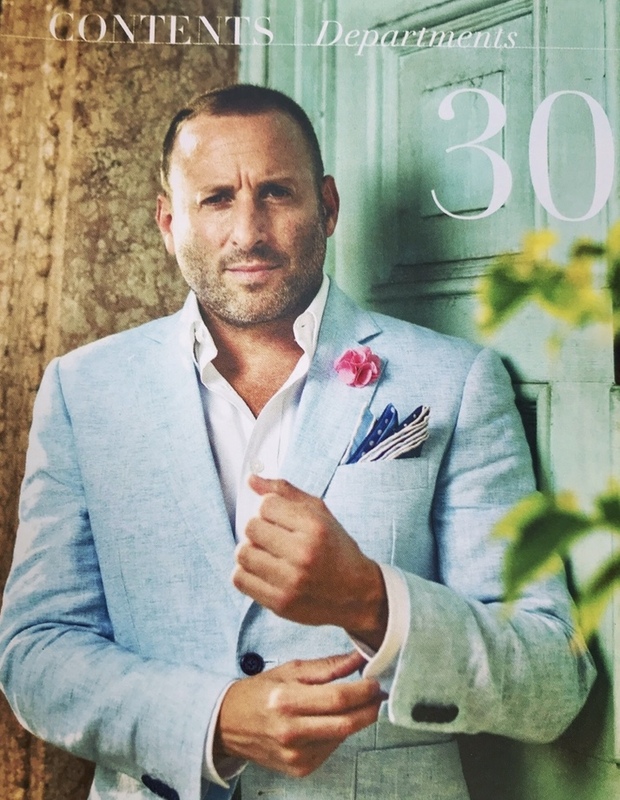 "We let them play us tight," Cambiaso said. "We played badly and they played well. I'm happy to win but we can play much better. We need to improve if we want to win the tournament. The way we played today we don't win the tournament." Freddie Mannix of Alegria watches his shot downfield. Del Carril led Colorado with four goals. 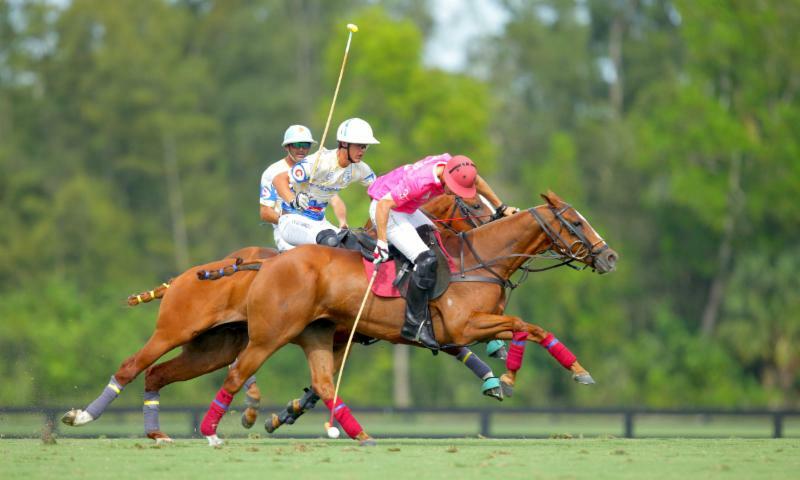 Zubia had three, Jornayvaz added two and Cambiaso had one. For Alegria, Mannix, Bray and Obregon each had two goals. 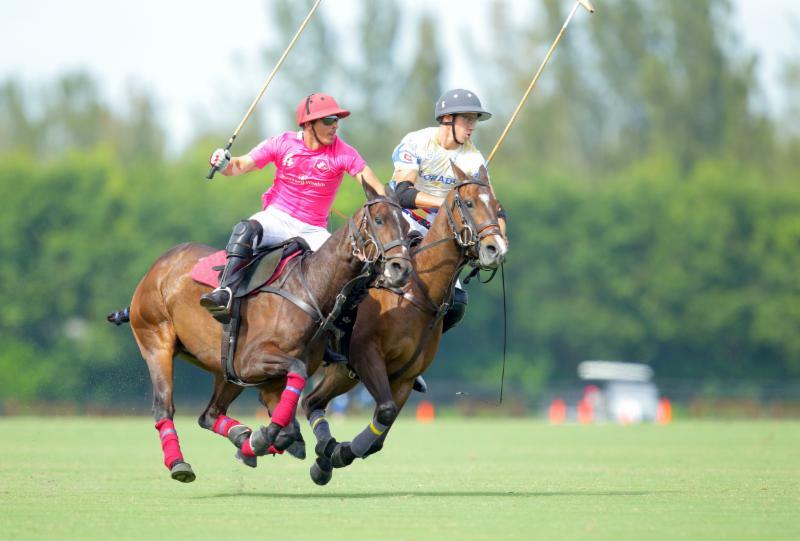 Juan Martin Obregon of Alegria playing tight on Juan Martin Zubia of Colorado. "We tried hard, we gave it everything," Mannix said. "We really played well as a team. You have to play obviously well to beat that team. They are really good. They have the best player, they are super mounted, they have all the good horses and they know exactly what to do. "We did play well, I am proud of these guys," Mannix said. "Juan Martin is playing well in the back. Jesse is playing well. Gringo is distributing the ball well. 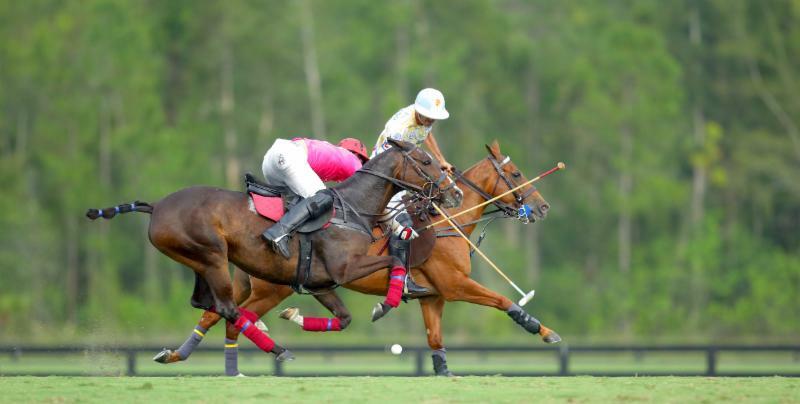 I think it shows that we can be competitive if we put it together for six chukkers. It's a shame about the last chukker. They were just too good for us in the last moments." Juan Martin Zubia of Colorado goes to goal for one of his three goals. 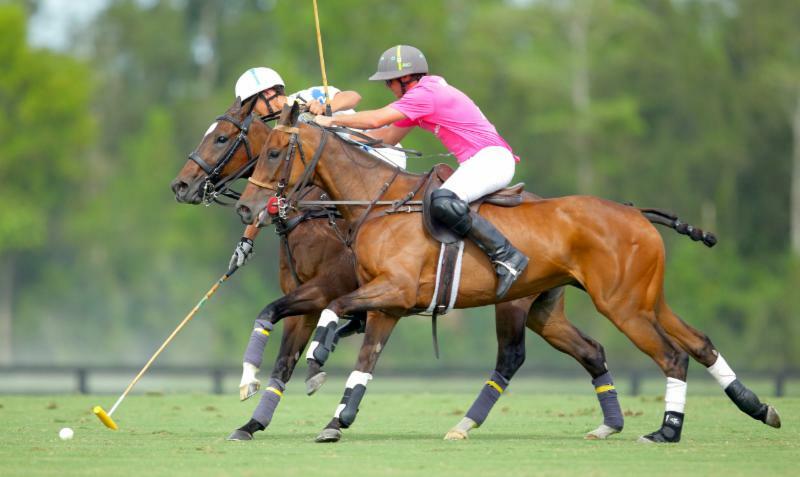 Gringo Colombres of Alegria reaches out of the saddle for the ball with Adolfo Cambiaso of Colorado defending. Jero del Carril of Colorado hooks Jesse Bray of Alegria. Juan Martin Obregon of Alegria goes for the big neck shot with Jero del Carril of Colorado defending.